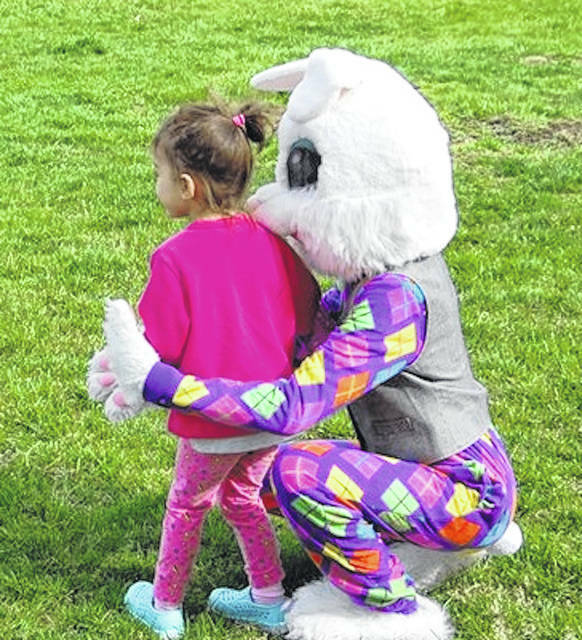 On Saturday, April 13, about 75 children and their parents participated in an Easter Egg Hunt, crafts, face painting, snacks and bunny hop races in the village of Chesterville. A special visit from Peter Cottontail, aka Megan Humphrey, made the day extra special.Volunteers from the Village Council, area residents, business owners and Morrow Manor worked together to plan and put on the morning event. Chesterville has not had a big Easter Egg Hunt since Highland North Elementary was torn down. Plans are to make it an annual event.